The series includes nine outdoor concerts Thursday afternoons at 12:15pm during June, July and August. Weather permitting, they will be held in the Granite Mills Park near the Pont de Rennes Bridge and will feature a diverse mix of musical artists and instructors. Attendees are encouraged to bring their own seating and lunch, or pick up a great lunch area restuarants (like La Luna, Caribbean Chateau, and Fina's Cafe﻿). Each performance runs approximately 30 minutes. WXXI-FM afternoon host Chris Van Hoff will introduce the featured musical talent each week. 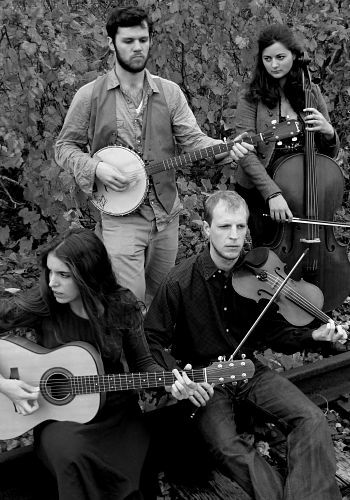 ﻿The June 30 concert features Windsor Folk Family, an old-time string band from Rochester. The band features Geoff Saunders on banjo; Michelle Younger on guitar; Zach Piper on fiddle; and Joy Adams on cello.